Lee Foster, 46, of Mayfield Grove, Harrogate, was given a 12-month community order for stealing a total of 13 Yankee Candles from Boots in Cambridge Street, on three occasions in the space of four days. He was ordered to pay compensation of £47.90 for the first offence, £95.96 for the second, and £167.93, along with costs of £85 and a victim surcharge of £85, and to complete six months’ treatment for drug dependency. He was barred from entering Boots in Cambridge Street and Tesco Express in Cambridge Road for 12 months. Hani Hassan Hemmat, 38, of Lancaster Park Road, Harrogate, was given a 12-month conditional discharge for being drunk and disorderly in Victoria Avenue, Harrogate. He was ordered to pay a victim surcharge of £20 and costs of £85. 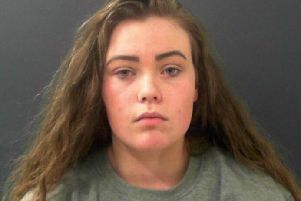 Heather Louise Elizabeth Watson-Sparrow, 28, of Lancaster Park Road, Harrogate, was given a 12-month community order for three counts of theft. She stole a bottle of vodka and a packet of cigarettes from the One Stop Shop in Knaresborough Road, a bottle of Bells Whisky and a bottle of Smirnoff vodka from the Co-op in Harrogate, and a bottle of vodka and a pack of cigarettes from Tesco Express in Cambridge Road, Harrogate, while subject to a conditional discharge for theft from Tesco Express on a previous occasion. She was ordered to pay compensation of £23.19 to the One Stop Shop, £38 to the Co-op, and £22.10 to Tesco Express, a victim surcharge of £85 and costs of £85, and to complete six months’ treatment for alcohol dependency. She was barred from entering the Co-op in St Winifred’s Avenue, Tesco Express in Cambridge Road, and the One Stop Shop in Knaresborough Road, for 12 months. Matthew Richard Winspear, 37, of Farm Close, Whitby, was fined £473 for being drunk at Harrogate Train Station. He was ordered to pay compensation of £50, costs of £85 and a victim surcharge of £47. Jonathan Addis, 38, of Church Street, Pateley Bridge, was fined £500 for driving while under the influence of alcohol on Brame Lane, Norwood. He was ordered to pay a victim surcharge of £50 and costs of £85, and was disqualified from driving for 20 months, to be reduced by 20 weeks on completion of an approved course. No separate penalty was imposed for driving without insurance. Lee Foster, 46, of Mayfield Grove, Harrogate, was given a 12-month community order for stealing a bottle of wine from Tesco Express in Cambridge Road, while subject to a conditional discharge for two previous thefts. He was ordered to pay compensation of £7.25 and to complete six months’ treatment for drug dependency. Keith Hedley, 52, of Verity Walk, Harrogate, was given a 12-month community order for two counts of failing to notify Harrogate Borough Council of a change in circumstance, when he was receiving two private pensions and his wife was employed, affecting his entitlement to benefits. He was made subject to a three-month curfew, and must pay a victim surcharge of £85 and costs of £85. Jordan Lee Coppack, 22, of West Bank Rise, Keighley, was fined £150 for possession of cocaine in Harrogate, and a further £100 for driving while under the influence of alcohol on the A59 at Blubberhouses. He was ordered to pay a victim surcharge of £30 and costs of £85. Ten points were added to his licence, and magistrates ordered the drug be forfeited and destroyed. Connor James Derry, 20, of Robert Street, Harrogate, was given a 12-month community order for damaging a door at a property in Verity Walk, and assaulting a man at the same address by beating him. He must pay a victim surcharge of £85, costs of £85, and was made subject to a six-month restraining order preventing him visiting the property. Paul Stewart James Chapman, 29, of Low Lane, Darley, was fined £800 for driving while under the influence of alcohol on Low Lane, Darley. He was ordered to pay a victim surcharge of £80 and costs of £85, and was disqualified from driving for 20 months, to be reduced by 20 weeks on completion of an approved course. Daniel James Kaine, 31, of Oakworth Road, Keighley, was fined £120 for driving while under the influence of alcohol on the A61 at Wormald Green. He was ordered to pay a victim surcharge of £30 and costs of £85 and was disqualified from driving for 14 months, to be reduced by 14 weeks on completion of an approved course. Andrew Carter, 34, of Burnside Walk, Harrogate, was fined £323 for driving while under the influence of alcohol in Arkendale. He was ordered to pay a victim surcharge of £32 and costs of £85, and was disqualified from driving for 22 months, to be reduced by 22 weeks on completion of an approved course. Cristinel Constantin, 34, of Bayswater Crescent, Harehills, Leeds, was fined £120 for driving a Renault Master van on Leeds Road in Harrogate without insurance. He was ordered to pay a victim surcharge of £30 and costs of £85, and eight points were added to his licence. Anthony Greenstone, 67, of Victoria Road, Harrogate, was fined £200 for driving on Beckwith Road without insurance. He was ordered to pay a victim surcharge of £30 and was disqualified from driving for six months. Jacek Szymkowiak, 44, of Pennywort Grove, Harrogate, was fined £157 for exceeding the 30mph speed limit at the Wetherby Road junction with School Lane, Walton. He was ordered to pay a victim surcharge of £30 and costs of £85, and three points were added to his licence.